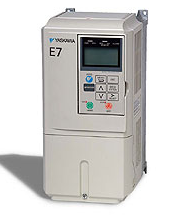 Applications: The E7 Drive is a variable torque VFD drive, designed specifically for HVAC applications in building automation. A new benchmark for size, cost, performance, benefits, and quality, the drive includes numerous built-in features such as Network Communications, H/O/A, PI, and energy-savings functions. Features: The E7 has embedded communications for the popular building automation protocols, Johnson Controls Metasys N2 and Siemens APOGEE FLN, as well as Modbus. Optional LonWorks, EtherNet/IP and Modbus TCP/IP interface cards are available. The LCD keypad/operator is equipped with Hand/Off/Auto functions, copy feature, 7 language choices, and 5 lines of display, 16 characters per line. Optional software allows upload/download, as well as graphing and monitoring of drive parameters from a PC for ease of drive management. 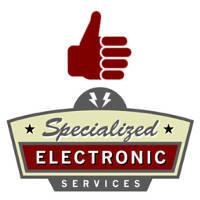 User parameter settings can be recovered at any time via user re-initialization. Built-in PI maintains set point for closed loop control of fans and pumps for pressure, flow or temperature regulation and eliminates the need for output signals from a BAS. It includes feedback display, inverse, square root and differential control functions.